Fresh pineapple, mango and oranges with a dressing of coconut and orange juice - that's a recipe for deliciousness! 1. 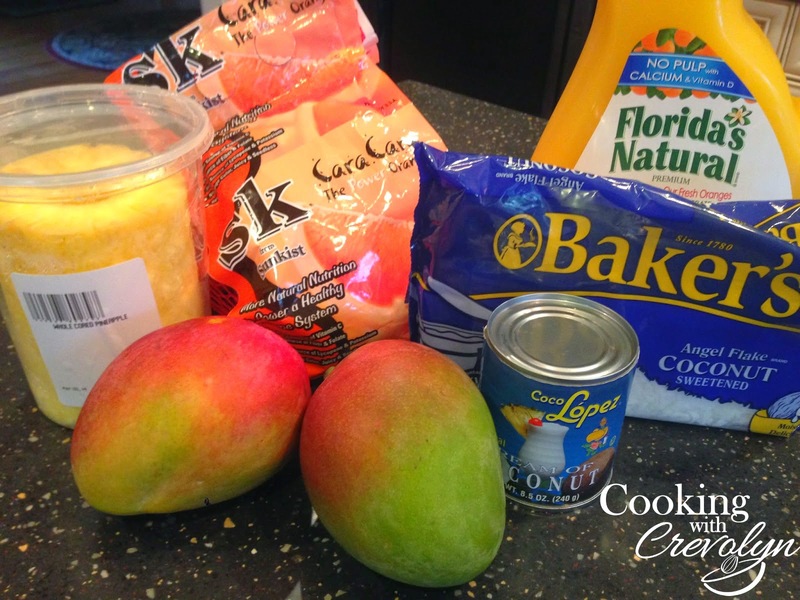 In a large bowl, combine pineapple, mango, and orange sections. 2. 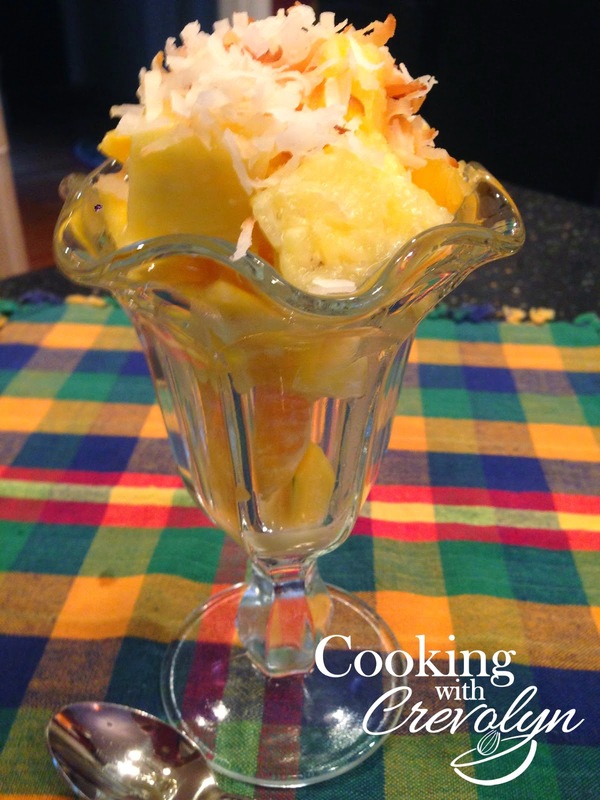 In a small bowl, whisk together cream of coconut and orange juice. Add juice mixture to fruit mixture, tossing gently to coat. 3. Garnish with macadamia nuts and toasted coconut, if desired.